Just hours ago, I was casually strolling along at a mall in Makati, waiting for the assigned time of my job interview (why the interview despite today being a holiday, I don’t know). Anyways, there was a toy store there that I happened to chance upon and being the collector that I am, I entered the store and immediately saw the stack of “Nendoroids” in one corner. “Nendoroids,” because this store was a notorious importer of less than desirable bootlegs that cost 1/4 the price of a regular, genuine Nendoroid. 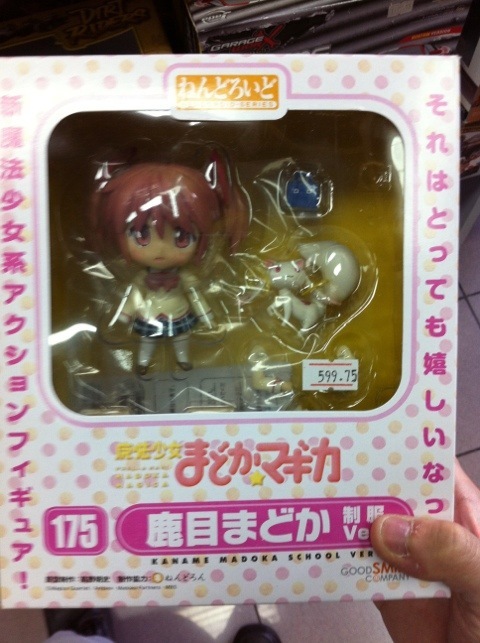 What surprised me more though was the presence of Nendoroid Madoka bootlegs that frankly speaking, took me aback, not because they were bootlegs, but because they arrived a bit sooner than expected. Come to think of it, it’s only reasonable to think that scheming and unscrupulous pirates would take advantage of the popularity of “Puella Magi Madoka Magica” while it’s still hot in the public eye. 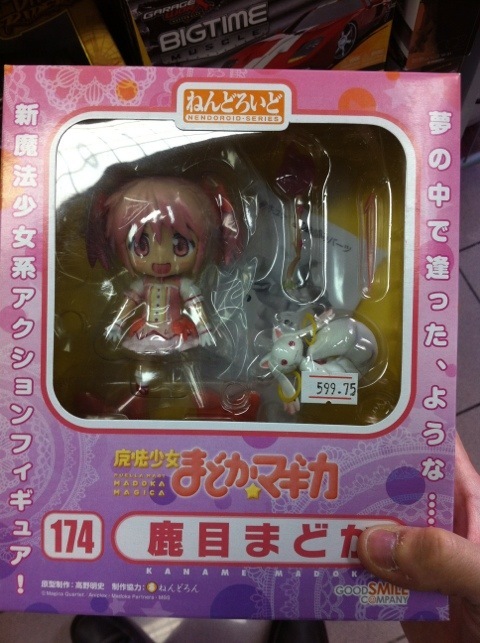 Even more surprising is that apart from the regular Madoka, even the Wonder Festival exclusive School Uniform Ver. was pirated already. Considering the mold for this one’s harder to acquire I must assume, it’s even more amazing that this one was also bootlegged already even before the online shop release. Anyways, Team Onii-chan! does not support these bootlegs in any way, form or manner. This is just a warning that if you’re planning to buy a Nendoroid of the Goddess, keep your eyes peeled (check the plastic quality, the price, etc.) to avoid buying one of these and contributing to some Chinese bootlegger’s bank account. Welcome guys again for another long delayed episode of Garage Kits 101. It’s more than a month since I last posted something about this supposedly “weekly” blog series so I hope I can fill you in more about garage kits, especially those who were curious or wanted to try this hobby out. Paints. 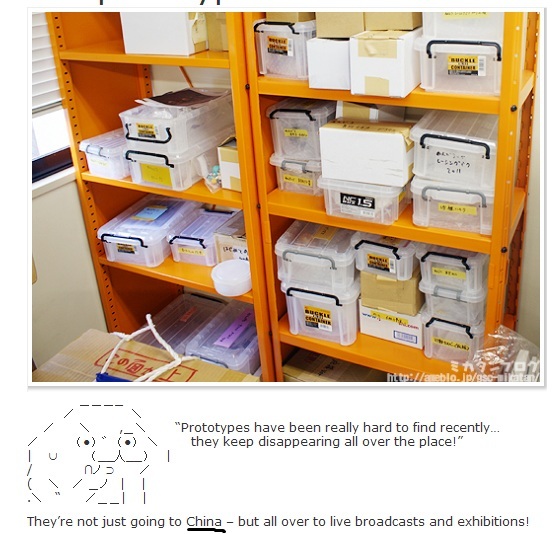 I received a few questions about this a lot, especially from curious, fellow collectors. 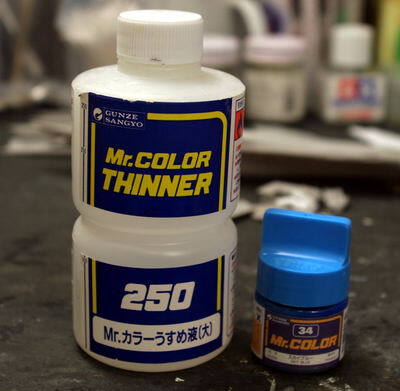 I personally use Tamiya acrylics, Tamiya Enamels and Bosny spray paints for my work. This week, I’ll try discussing the different types of paints and how they help you create masterpieces from dull, plain plastics. Forms a tough layer once cured.